Brazil has one of the most advanced legal frameworks in Latin America and the Caribbean region (LAC) related to the recognition of land and property rights. Yet the situation on the ground differs significantly from the legal provisions. The lack or weaknesses of land records; the convoluted mechanisms to measure, regularize and register both public and private land; the influence and control of land owners over political decision making; the historic and fundamental socio-economic inequalities; and the unequal access to and control over land makes it technically and politically challenging to implement a rights-based, responsible land governance framework in Brazil. Brazil is a country with continental dimensions. A total land area of 8,358,140.0km² is divided into 1,61% of urban land area and 98,39% of rural land area, while the Amazon (overlapping both urban and rural areas) accounts for nearly 49% of the country territory  . Brazil is also an urban country. Eighty six percent of the population lives in urban areas . From the 5,570 cities in the country, nearly 30% of the population lives in the major 40 cities, that have over 500,000 inhabitants . Taking a closer look at those cities, in most cases most of the population is highly concentrated in informal settlements, which represent small areas of the cities territories. In Recife, for instance, nearly 53% of the population lives in less than 30% of the urbanized land area. Concentration of people close to urban infrastructure, often insufficient, is a reality in various levels. More than 80% of deforestation in Brazil was associated with forests being cut down for pasture . Brazil is part of the United Nations Committee on World Food Security (CFS) and as such has endorsed the VGGT on 11 May 2012. The CFS at its 38th (Special Session) on 11 May 2012, among other points: i) endorsed the VGGT; ii) noted that, according to their title the VGGT are voluntary and not legally binding; iii) and encouraged all stakeholders to promote, make use of and support the implementation of the VGGT when formulating relevant strategies, policies and programmes. (See FAO Council Report of the 38th (Special) Session of the Committee on World Food Security (11 May 2012), Rome, 11-15 June 2012). In addition, Brazil endorsed the VGGT at the 2014 Global Forum for Food and Agriculture. The summary of Results of the Global Forum for Food and Agriculture 2014, states that, among others that: "We, the agriculture ministers assembled at the GFFA: […] establish and protect tenure rights to land, forests and fishing grounds as well as water rights for all – in particular vulnerable people – as a basic prerequisite for sustainable farming in line with the Voluntary Guidelines on the Responsible Governance of Tenure of Land, Fisheries and Forests in the Context of National Food Security endorsed by the Committee on World Food Security (CFS). Brazil is applying the VGGT to improve tenure governance in the country and provides technical support in their implementation to Guatemala. Read more. Brazil has one of the most advanced legal frameworks in Latin America and the Caribbean region (LAC) related to the recognition of land and property rights. Yet the situation on the ground differs significantly from the legal provisions. Historically, Brazil was a Portuguese colony. Following the period of indigenous control of the Brazilian territory, the first land system implemented under Portuguese colonization was the “Sesmarias”, in 1530. It defined that the Brazilian land belonged to the Portuguese Crown and the Portuguese king could transfer possession of land to be used and occupied for agricultural purposes . Subsequently, layers of land laws followed that determined the injustice and ambiguity that characterize land governance frameworks in Brazil. Following centuries of European colonization and land control, the 1850 Land Law (Federal Law 601 was a State’s attempt to stop public land from being acquired for private occupation and regain control over land transactions by distinguishing public from private land . The Law stated that the only way to access land was through purchase, formal land acquisition. This happened a few decades before the end of slavery. The former slaves had never earned money to buy land and were no longer able to live on the farms where they once worked. This meant that the former slaves would then have to find themselves a place to live, while housing was not yet a clear obligation of the State . The former slaves had no other choice but to informally occupy empty and unclaimed land, usually in environmentally sensitive areas, such as hill sides and wetlands, far away from the city centers at that time . This was also right before a new wave of European immigration was arriving to Brazil. Thus, an implicit intention of the 1850 Land Law was to delay the immigrants’ access to land, while creating a supply of salaried rural workers for the plantations, potentially solving the workforce problem as the end to slavery was drawing to a close . José de Souza Martins calls this mindset of the elites as the “captivity of the land”, which highlights their will to “capture the land” before the slaves become free and before the free immigrants arrive to the country, to maintain and reinforce land ownership concentration in the hands of few land owners . The 1988 Constitution was the first national law to clearly address the urban issue, when over 80% of the country population already lived in cities . Together with progressive laws such as the Cities Statute, the Constitution provides the two key principles of the current land policy: (a) the social function of land, and (b) land rights recognition for the most vulnerable groups. According to the 1988 Constitution, property is a fundamental right, alongside life itself, liberty, equality and security, which should be guaranteed to all Brazilians and foreigners residing in the country, without distinction of any kind (art. 5). In the same article, it determines that property must serve a social function” (par. XXIII). Still according to the 1988 Constitution, in a rural context, the social function of land is fulfilled when the rural property meets, simultaneously, the following requirements: (i) rational and adequate use; (ii) adequate use of available natural resources and preservation of the environment; (iii) compliance with the governing provisions of labor relations; and (iv) exploitation that favors the well-being of owners and workers (art. 186). In the urban context, however, the social function of land is not quite as clear. The Constitution defines that an urban property fulfills its social function when it meets the fundamental requirements of city planning expressed in the city Master Plan, which should be the key tool of local governments to implement urban development policies, for guaranteeing the well-being of its inhabitants (art. 182). Later in 2001, the Cities Statute (National Law 10.257) provided not only a better understanding of social function of land, but an actual “tool-box of land tools” to implement it, building on lessons learned from local experiences and innovative tools developed collectively through participatory management mechanisms, such as: (i) progressive property taxes; (ii) mandatory land parceling, building and use; and (iii) expropriation with payment in public debt titles. The tools to realize the social function of land in urban areas should be useful to address strong concentration of land ownership and speculation leaving much vacant or underused land and properties, both in rural and urban areas. legal and administrative tools to protect the land rights of the most vulnerables. Another land tool available in the 1988 Constitution and the Cities Statute is adverse possession (“usucapião”, in Portuguese), which serves for land regularization of private areas. The property title should be afforded when the claimant/occupant has lived in a parcel of up to 250m², for five years uninterruptedly and unopposed, alone or with family, if the claimant does not own another urban or rural property. For public areas, there are two tools for land regularization through concession of rights to use, not freehold private property: Concession of Real Right to Use (Concessão de Direito Real de Uso – CDRU) and Concession of Right to Use for Housing (Concessão de Uso Especial para fins de Moradia – CUEM). The Special Zones of Social Interest (ZEIS – Zonas Especiais de Interesse Social) serve to combine land regularization with slum upgrading in urban areas, by recognizing informal settlements in the formal city zoning. The following box summarizes the institutions and their roles related to land management and administration. (1) Federal government: presents proposals for change in legislation and institutions after approval by Congress and has efficiently created different kinds of Conservation Units (Extractivist Units, National Forests) and Indian Preservation Areas. (2) State government: after approval by the House of Representatives, also creates Conservation Units (Extractivist Units, State Forests) and Quilombola Preservation Areas. (4) State Land Institutes: manage state public lands. (5) Notary System is subordinated to the Ministry of Justice, is autonomous, and controls contracts for the acquisition and sale of property and provides legal signatures. (6) Land Property Registry Notary is also subordinated to the Ministry of Justice and keeps registration books where all rural and urban property transactions are registered. Because property registration is not based on maps, it is impossible to identify and register unclaimed land and the preparation of a cadaster. (7) Executive and the City Council, at the municipal level, define the Municipal Development Plan containing specifications of the rural land to be transformed into urban property and may establish urban areas independently of a Development Plan; it maintains a cadaster of urban lands for several purposes, including planning and taxation (Urban Land and Buildings Tax – IPTU); it establishes land values for IPTU; defines criteria for urban land use and inspection based on the Municipal Statute; and charges ITR jointly with the Federal Revenue Service. Once the ownership of every rural property is registered, 100 percent of the ITR will remain in the municipality. (8) Department of National Heritage (SPU – Secretaria do Patrimônio da União), under the Planning Ministry, is responsible for all national properties in the country, including unclaimed land, and for transferring unclaimed areas to INCRA for registration. However, the SPU reports available show that most efforts have been concentrated on land regulation for urban use and on registration of rural properties. As far as expropriation of unclaimed land is concerned, the Federal Attorney’s Office (AGU) defends actual cases involving rural property. It also aims to have the Supreme Federal Court (STF) enforce the social, productive and environmental functions of land as established by the 1988 Constitution, so that identification, acknowledgement, delimitation, demarcation and entitlement can be carried out. The AGU may expropriate unproductive land and land used in contravention of environmental laws. (9) Federal Revenue Service, part of the Treasury, collects several direct taxes, mainly Income Tax. In 1986, President Fernando Henrique Cardoso added ITR collection as well, based on the INCRA cadaster. ITR collection has been far lower than initially planned due to inadequate inspection. Other relevant stakeholders when it comes to land governance are the judiciary power representatives. A recent study  on the role and performance of judges and judiciary representatives in response to land claims of social interest showed a set of barriers faced by those judicially claiming their land rights. Research findings highlighted that time was a major challenge: the complete judicial process can easily take up to a decade, which not only makes litigation more expensive, as it is also discourages citizens to seek for justice. Findings also showed another two types of barriers: a restrictive interpretation of the existing legal norms by the judicial authorities; and structural obstacles (bureaucracy and conflicts of competences among State institutions, lack of capacity, etc.). The following transparency-related scores are listed for Brazil in the Land Governance Assessment Framework carried out by the World Bank in 2014. In urban areas, land use plans and changes to these are based on public input: Weak Practice. In rural areas, land use plans and changes to these are based on public input: Very Weak Practice. Public capture of benefits arising from changes in permitted land use: Weak Practice. Speed of land use change: Very Weak Practice. Clear process of property valuation: Weak Practice. Public availability of valuation rolls: Very Good Practice. Compensation for expropriation of ownership: Very Good Practice. Compensation for expropriation of all rights: Very Weak Practice. Promptness of compensation: Very Good Practice. Independent and accessible avenues for appeal against expropriation: Very Good Practice. Appealing expropriation is time-bounded: Good Practice. Read the full LGAF report on Brazil. Browse Transparency International data from the Global corruption barometer to find out more about corruption in the land sector in Brazil. In Brazil, as in many other countries, gender inequality in land access, ownership and control challenges women’s standards of living, often as a result from socio-economic disadvantages. There is a remarkable gender asset gap. Women own less land and are disadvantaged in inheritance processes; while State programs have recently started to prioritize women in land regularization, titling and housing programs . On the other hand, several studies have shown the lead role of women in informal occupation both in rural and urban areas, as an alternative mechanism for access to land. Research findings show that Brazilian women tend to access land mainly through inheritance and through state programs, while access to land through formal markets is less common . In fact, a recent analysis shows that Brazil’s agrarian reforms carried out by progressive governments after 2000 not only strengthened women’s formal land rights, but it also resulted in a significant share and number of female beneficiaries . Brazilian women have benefited through the priority given to female household heads as well as the mandatory joint allocation of land to couples in the agrarian reform settlements . Beyond the formal means of access to land, several studies acknowledge the key role of women in informal processes of land access and settlement consolidation. This role becomes particularly evident in the studies focused on the right to the city and the struggles of housing social movements . However, little is known of this gender gap in the realization of housing, land and property rights. Censuses and household surveys often overlook the intra-family inequalities between men and women . Most of the literature and debate on gender and land rights focuses on the struggles of women in rural contexts, exploring mainly the relationship between gender inequalities and agrarian land rights . There is limited data on women and urbanization . In other words, there is an important information and knowledge gap which must be acknowledged by governments, researchers and activists alike, in understanding and addressing women’s land rights. Browse the FAO gender and land rights database for more information on gender and land in Brazil. The 1988 Constitution, together with a series of laws and land tools , provide that property must serve a social function. Brazil's laws also recognize the right to adequate housing and property, both in rural and urban areas. From a legal perspective, Brazilian citizens, particularly those from vulnerable groups such as poor people, women, indigenous and traditional populations, can now claim their land rights. Depending on whether the land is public or private, individual and collective rights to use or own land can be obtained, after a minimum period of peaceful possession. In addition, many land-related policies, such as land regularization and housing programs, also acknowledge that women should receive preference in obtaining land rights. The 1988 Constitution , together with very progressive laws such as the 2001 Cities Statute (Federal Law 10.257), leverages the lessons learned through innovative experiences at local levels, as well as the collectively drafted proposals of the agrarian and urban reform movements to lay out what is considered to be one of the most advanced frameworks for land rights recognition in LAC region. The situation on the ground, however, is quite different from what Brazil’s progressive legislation implies. For instance, an estimated 250,000 people have been evicted, affected or threatened of eviction in various cities, during the period leading up to the World Cup and Olympic Games . The evictions occurred mainly in areas of increasing land value, such as alongside the routes to/from the airport – stadium – touristic center, due to the implementation of public infrastructure and private real estate developments. Forced and violent evictions were often reported even when families had formal property titles. Moreover, market evictions and gentrification have also occurred in many documented cases, through more “quiet” processes in comparison to the violent massive evictions mentioned above. Recurring evictions in Brazil highlight the weaknesses of decades of regularization and housing programs that focused on individual freehold titles. The gap between law and practice whereby Brazilians have a recognized right to housing, land and property yet remain highly vulnerable to eviction, either through violent or quiet processes, suggests that land tenure security in Brazil is not only a legal or technical issue, but also a political one. Key elements that explain this situation are the historic concentration of wealth and power in the hands of few privileged landowners, combined with rapid urbanization and weak land governance frameworks . Under these circumstances, the urbanization process reinforced major inequalities in land access and control. Historically, while a clear majority of the population is driven to informal settlements due to lack of formal access to land and housing, few privileged land owners control the majority of land in Brazil . This land is not always used for a “social function”, as required by the Constitution, and is often managed by weak land governance, regulatory and planning frameworks. The most vulnerable often lack access to public defense and cannot afford to hire a lawyer. As a result, many tend to continue living in undocumented property and are not aware of their rights. There are capacity gaps of both rights holders in claiming their rights, and of duty-bearers in meeting their obligations, particularly within the judiciary and executive branches of power. In addition, right defenders often lack reliable information to identify, monitor and prevent land rights violations, and to activate defense mechanisms at local and international levels. facilitate access to national public resources by large corporations, including foreign ones. what is being promoted as an attempt to reduce bureaucracy and increase efficiency in the management of public assets, in practice hides the possibility to transfer public assets, land and natural resources to the private sector disregarding the current social and collective criteria . This 2017 Land Regularization Law, alongside several executive actions carried out by Brazil’s current administration since 2016, not only jeopardizes the previous progressive legal framework for land regularization but fails to ensure public participation at all levels of government. This affects the role of civil society in the democratic management of cities and rural areas, with serious impact on land use and governance structures. Moreover, it contradicts the commitments made by the Brazilian government to implement the New Urban Agenda and the 2030 Agenda – Sustainable Development Goals. When it comes to indigenous and community land rights in Brazil, two major groups deserve special attention: the indigenous (“native-Americans”) who controlled the land before the Portuguese colonization, and the “quilombolas”, descendants of slaves, who in the late colonial period escaped from their masters and formed their own communities or camps in remote areas. The “quilombos”, which then represented a resistance against slavery, today continue to be a place of resistance against racial and social oppression . The Brazilian legal framework recognizes the land and property rights of indigenous peoples and traditional communities, often resembling international legal frameworks. The main international legislation protecting indigenous and traditional people’s rights is the Convention 169 of the International Labor Organization (ILO) of September 1991, which represents an instrument for the social inclusion of these peoples. The document recognizes their aspirations to take control of their own institutions and ways of life and economic development, and to maintain and strengthen their identities, languages and religions within the scope of the states where they live. It is understood that the protection of the rights and culture of indigenous and traditional peoples contributes to cultural diversity, to the social and ecological harmony of humanity. In Brazil, the Federal Constitution of 1988 and the Decree 5051/2004, which ratified ILO’s Convention 169, guarantees indigenous and traditional peoples the exclusive possession of their territories and respect for their social organizations, customs, languages, beliefs and traditions, consolidating the Democratic and Multiethnic State of Law. The 1988 Constitution represented an important paradigm shift in establishing cultural diversity as a Brazilian constitutional value, characterizing it as a multi-ethnic country, ensuring respect for social organization, customs, beliefs and traditions, as well as rights (CF/88, art. 231). It further defined that the Brazilian government should demarcate all indigenous lands within a period of 5 years, according to the criterion of traditional land occupation. But the administrative procedure for the demarcation of Indigenous Lands was established only in 1973, with the Indian Statute (Law No. 6.001/1973). Afro-Brazilian land rights activists also lobbied to include protection of the territorial and cultural integrity of quilombos in the 1988 Constitution. Since the mid-1990s, the national quilombo movement has effectively mobilized rural black communities around the issues of landownership and the regularization of quilombo territories . They have, since, conquered a framework of laws and norms establishing public policies and governmental programs directed to quilombolas and the titling of their traditional lands. However, despite the clear and robust legal framework, the realization of land rights for both indigenous and quilombolas is still a complex issue characterized by high level of tension and conflict. Land policies are promoted without the precise knowledge of the landscape and ethnic considerations, resulting in territorial overlaps. This chaotic situation has facilitated land grabbing and thefts, adding complexity and irregularity in the Brazilian agrarian framework and fueling land conflicts and violence in rural areas. The strong inequality of land distribution and inadequate access to land by vulnerable groups, information asymmetry, and insecure land tenure are contributing factors to land and environment degradation, deforestation, rural poverty, forced evictions, violence, and other human rights abuses . In addition, the lack of accurate information on land with data and geographic information of indigenous and community lands, private properties and other land categories in a single cartographic base makes it difficult to identify overlap between these areas, generating land conflicts. In this context, the indigenous groups and traditional communities are disproportionately affected and often caught in the forefront of violent confrontations. 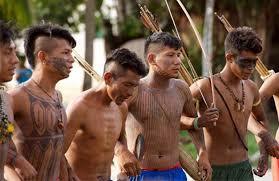 Land issues are at the center of the discussion of Brazil's indigenous and traditional communities people. Land provides not only means of physical survival, but also forms the basis of a cultural and social identity. The indigenous and traditional groups in Brazil face constant threats and harms due to their claim for land demarcation and the recognition of their rights, and several times the lack of protection of the rule of law within the Brazilian state have resulted in "cultural genocide" of many groups . Taking the demarcation of quilombolas land as an example: the first titling of a quilombola land occurred only seven years after the promulgation of the Constitution, in 1995 and, so far, only 258 quilombola communities received titles, 8% of the estimated total of 3,000 communities in Brazil, indicating that government action is still far below what is necessary to guarantee their legal right to land . Without their land demarcation, the rights of indigenous and traditional communities are constantly being threatened by landowners, miners and loggers, as well as by major infrastructure projects, such as the construction of hydroelectric power plants, highways and transmission lines, mining projects on or near indigenous lands . The slow pace and complexity of the regularization and demarcation of indigenous and quilombolas lands in Brazil shows the disregard for their cause (some indigenous communities are waiting for their land demarcation for more than 20 years). In addition, there are institutional issues such as low operational capacity of the governing bodies and corruption of public officials, budgetary constraints, governance difficulties (different institutions and multiple registrations without integration among them, complex legislation and judicialization of regularization processes, conflicts of land ownership, as well as pressures and threats that need to be resolved) . Most recently, under the administration of President Michel Temer, the Brazilian government has set out several controversial reforms, alongside a series of political corruption scandals, which have led to both increased conflict and social unrest across the country . There has been a small number of land demarcation and titling procedures concluded from May 12, 2016, when he assumed the presidency on an interim basis, and it is notable the fact that members of its government and its allies have tried to revise and even revoke the few procedures signed by former President Dilma Rousseff. The almost complete paralysis of the demarcation of indigenous lands and the titling of quilombola lands demonstrates the strong ties of Michel Temer with agribusiness (CIMI, 2015). Politically, Brazil has a strong presence of congressmen who are also agrarian entrepreneurs, or who are indirectly involved in the Brazilian private sectors with some sort of interest in the outcomes of land and environment regulation. Recent setbacks on indigenous and traditional communities land rights include the controversial timeframe (“marco temporal”), an arbitrary cut-off date for land claims in which indigenous are to have rights only over lands they were physically occupying as of 5 October 1988, the day the most recent federal Constitution, despite the fact that, by then, many indigenous groups had already been forced from their lands . Additionally, a targeted campaign to defund and dismantle Brazil’s national indigenous agency has left the entity barely able to defend Indigenous Peoples’ culture and lands . Quilombola’s territories are also under threat by an effort to challenge the constitutionality of the Federal Decree (No 4887/03) that stipulates procedures for titling Quilombola territories. The Federal Supreme Court (STF) will decide if there is a future for the more than 16 million Brazilian quilombolas, who are now facing the possibility of losing their lands, their memories and their identity. Brazil has a long history of discrepancy between their written law and the social reality, but for the past years it has been more evident the policy of deconstructing rights and deterioration of culture, life and means of survival within the territories of traditional and indigenous communities and peoples in recent years is evident, and, according to CIMI (2016), there will be even more severe changes, especially in relation to land demarcations. Much of what has been achieved so far, in terms of land rights recognition during the recent Brazilian history, is due to increasing social organization of social movements, workers unions, professional bodies, academia, NGOs, progressive politicians, etc., who combined efforts to react to the use and management of land and cities as commodities, as a source of profit for the elites, while most of the population was living in inadequate conditions. In sum, the claims and proposals of the land reform movements were growing ever stronger, including the ideas of social function of land, fair distribution of the burdens and benefits of the urbanization process and the democratic management of land and cities. The land use trends in Brazil, which are often a reflex of and feedback major inequalities, with strong class, ethnic and gender aspects, are a result of historical asymmetric power relations and resistance, shaping the Brazilian territory. The 1850 Land Law also reveals the early stages of the challenges related to the lack of land records. According to the 1850 Land Law, at that point in time, the only way to know which land was public was to have private owners voluntarily demarcate their property so, by elimination, all remaining unclaimed land was designated as public land (“terras devolutas”, in Portuguese). According to Reydon et. al. (2014), in 1864, notary registration became mandatory, but registration did not require any proof or cadaster, which facilitated land corruption (“grilagem”, in Portuguese). In 1889, with the Declaration of the Republic, the States (sub-national governments) had increasing autonomy and could begin demarcating and titling public, unclaimed land. In 1900, with the Public Land Registry, everyone was required to measure and register both rural and urban property, again without any inspection or cadaster. Finally, in 1916, the Civil Code confirmed the notary as the main land registration institution and introduced adverse possession of unclaimed land, which up to then was supposed to be public . The Agrarian and Urban Reform Movements were a key element of this historical process, highlighting the close ties between social and economic inequalities and the remarkable asymmetries in access to and control over land and resources, both in rural and urban areas. By the 1950s, increasing social mobilization demanded core changes in the land structure and distribution, but the 1964 Military Coup challenged the collective construction of proposals at national level . Although the 1964 Land Statute recognized the social function of land, it failed to establish clear mechanisms for ensuring effective implementation of the law. Following the Military Dictatorship, the ideas of land reform appeared again in the 1970-80s, in a period of slow and gradual democratization, when the social movements were gaining more visibility and political relevance. Initiatives at the local level recognized the land rights of the vulnerable groups, and thus these initiatives proved to be both technically and politically feasible . One of such initiatives was the Special Zones of Social Interest (ZEIS – per the acronym in Portuguese), first established in Recife and Belo Horizonte, to recognize informal settlements of low-income population in the formal city zoning and to determine the parameters for slum upgrading and land regularization. Later, the 1988 Constitution , together with very progressive laws such as the 2001 Cities Statute (Federal Law 10.257), would leverage the lessons learned through innovative experiences at local levels, as well as the collectively drafted proposals of the agrarian and urban reform movements to lay out what is considered to be one of the most advanced frameworks for land rights recognition in LAC region. However, despite the constitutional principle of the social function of land, in many cities, land and buildings lie empty for decades in serviced land areas . As a result, less land is available to house and feed an increasing urban population, competing interest and demand for land also grows, while private owners benefit from skyrocketing property values through a process known as speculation. Meanwhile, many families are homeless or live under inadequate conditions , and those who live in the peripheries must spend a lot of time and money to commute to/from city centers to get to the public facilities and job opportunities they need. In São Paulo, for example, there are 280 thousand abandoned properties and 130 thousand homeless families. There are so many people without adequate housing, and so many potential houses without people. In rural areas, a similar paradox: 74% of farmers receive only 15% of agricultural credit, have only 24% of the arable land, but produce 38% of the gross value. On the other hand, the agribusiness gets 85% of the agricultural credit, controls 76% of the arable land, produces 62% of the gross value and employs only about 26% of farmers. 2 million families of farmers, though contributing with 38% of gross value production, have a monthly income or around US$15 and are forced to live on government aid. In sum, there is little land, for a too many people, receiving little credit for food production. There is too much land for few people with most of the resources employed for agriculture . An estimated 250,000 people have been evicted, affected or threatened of eviction in various cities, during the period leading up to the World Cup and Olympic Games . The evictions occurred mainly in areas of increasing land value, such as alongside the routes to/from the airport – stadium – touristic center, due to the implementation of public infrastructure and private real estate developments. Forced and violent evictions were often reported even when families had formal property titles. Moreover, market evictions and gentrification have also occurred in many documented cases, through more “quiet” processes in comparison to the violent massive evictions mentioned above. Recurring evictions in Brazil highlight the weaknesses of decades of regularization and housing programs that focused on individual freehold titles. Government authorities in Brazil can expropriate land in order to serve the public interest and social interest. The General Expropriations Law (Law no. 4132 of 1962) defines the circumstances in which expropriations for the social interest can be conducted. Article 2 defines the following as within the social interest… For more informations browse the qualitative dataset developed by Tagliarino (2018) to assess how national laws in Bolivia measure up against the international standard on expropriation and resettlement as established by VGGT section 16. Brazil accounts for remarkably high numbers of activists murdered for defending the environment and land rights . Such as the Special Zones of Social Interest (ZEIS – as per the acronym in Portuguese); adverse possession (usucapião); Concession of Real Right to Use (Concessão de Direito Real de Uso – CDRU); Concession of Right to Use for Housing (Concessão de Uso Especial para fins de Moradia – CUEM); Proof of Tenure (Legitimação de Posse), etc. Titles and acronyms were kept in Portuguese to facilitate further research. Habitat for Humanity / Global Land Tools Network. (in press). Scoping study of Land Tenure and Land Governance Issues in Latin America and the Caribbean. Maricato. 2011. O impasse da política urbana no Brasil. Vozes. Unpublished discussions in which the author of this paper has participated in, occurring in the framework of several working groups and forums of land and urban reform movements. Reydon et. al.. 2014. Land tenure in Brazil: The question of regulation and governance. Land Use Policy. Silva. 1996. Terras devolutas e latifúndio: efeitos da lei de 1850. UNICAMP, Campinas, SP, 373 pp.Silva, 1996 apud Reydon. et al.. 2014. Land tenure in Brazil: The question of regulation and governance. Land Use Policy. Villaça. 1986. O que todo cidadão precisa saber sobre habitação. Maricato. 2011. O impasse da política urbana no Brasil. Editora Vozes. Martins. 2010. O cativeiro da terra. Editora Contexto. Bassul. 2011. Avanços e Obstáculos para a Implementação do Estatuto da Cidade. Congresso 10 anos do Estatuto da Cidade, Porto Alegre-RS. Fundação João Pinheiro. 2010. Déficit Habitacional Municipal no Brasil. Ministério das Cidades. International Labour Organization (ILO). 1957. Indigenous and Tribal Populations Convention, C107. Bowen. 2010. The struggle for black land rights in Brazil: an insider's view on quilombos and the quilombo land movement. African and Black Diaspora: An International Journal. USAID. 2005. Brazil: Property Rights and Resource Governance Profile 1. Valenta. 2003. Disconnect: the 1988 Brazilian constitution, customary international law, and indigenous land rights in Northern Brazil. Tex. Int'l LJ. Deere, Carmem Diana; León, Magdalena. 2003. Diferenças de gênero em relação a bens: a propriedade fundiária na América Latina. Deere, Carmen Diana. 2016. Women’s land rights, rural social movements, and the state in the 21st‐century Latin American agrarian reforms. See, for instance: Instituto Brasileiro de Direito Urbanístico – IBDU. 2017. Direito à Cidade: uma visão por gênero. Deere, Carmen Diana; Doss, Cheryl. 2016. The Gender Asset Gap: what do we know and why does it matter? Varley, Ann. 2007. Gender and Property Formalization: Conventional and Alternative Approaches. Centre on Housing Rights and Evictions (COHRE). 2008. Women, Slums and Urbanisation: Examining the Causes and Consequences. Luciana Bernardes Vasquez, PhD Student and Researcher of "Grupo Governança de Terras / Unicamp"